This Instruction Article explains how to create a new label by copying an existing label design and reusing it as a starting point to create a new label design with a new name and reset version number. 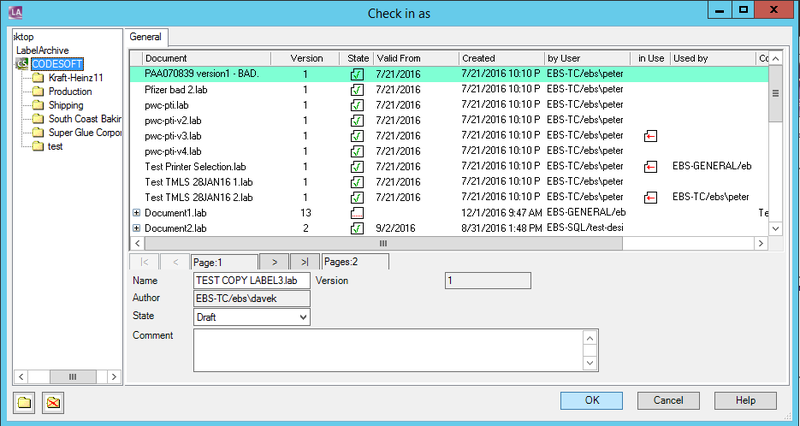 Since LABEL ARCHIVE does not have the ability to copy and re-save label designs as a specific feature, the instructions below detail how to pull a label design out of LABEL ARCHIVE, rename it, and save it as a new label back into LABEL ARCHIVE again with a new name and reset version number. 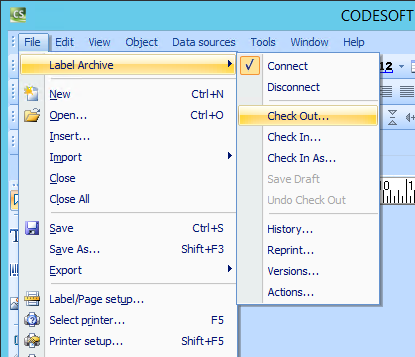 Select the target label design, click on the Save Locally button, save the file using the new label file name to the hard drive, then press Cancel to exit the Check Out screen. 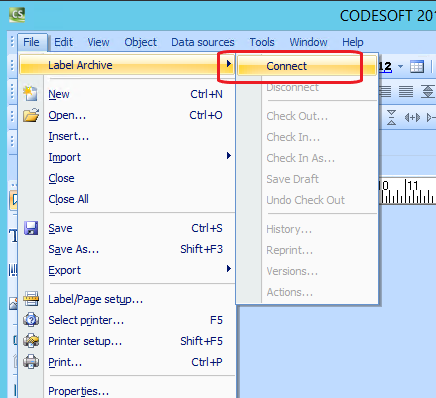 In CODESOFT (Label Designer), open the file saved in the prior step, make any changes required for the new label design, and then save the changes. 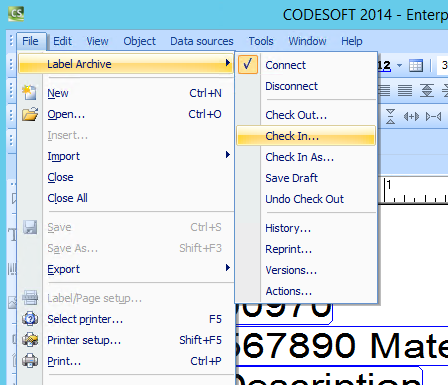 Using the File > Label Archive menu, select Check In… to get the Check In as screen.